Sitting in a vehicle that weighs more than 2 tonnes while balancing on a narrow metal see-saw may not be everyone’s idea of weekend fun but that’s where I found myself, with Laura Keane, bright and early one Saturday morning. After a 6am start and signing the usual “death or injury” disclaimers we were strapped into Land Rover Discovery 2s with our friendly instructor Dave to begin the muddy adventure which consisted of steep inclines and declines along with plenty of water, obstacles and sharp (and sore) bumps to set your heart racing. My favourite section was the “river” (very shallow we were assured) and other features of the course included a stair climb, camel bumps (renamed the sports-bra section by Laura) and a bridge consisting of planks that were just the width of the tyres. As “experienced novice” off-roaders this wasn’t the first time we had spent a few hours sliding around in a Land Rover but this course offered plenty of new challenges and really allowed the off-roading ability of the Discovery to shine – especially by climbing up a flight of stairs on its own. 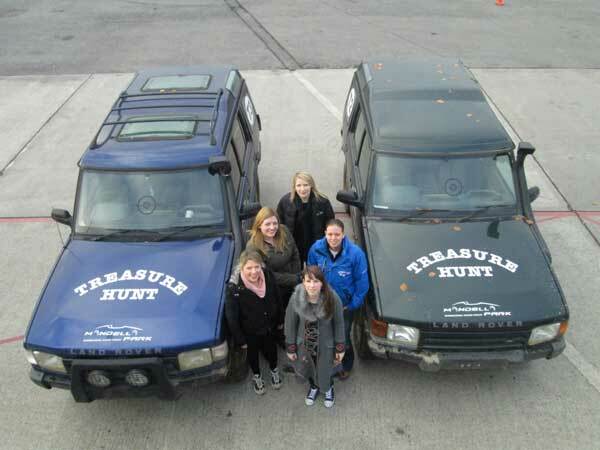 So grab 2 friends (3 people per Land Rover Discovery) and book your place at www.offroaddriving.ie. 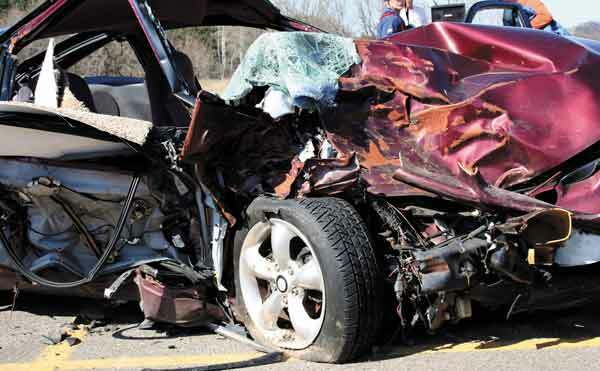 It lasts for 90 minutes which allows for 30 minutes of driving per person with prices starting from €59 per person. They also offer full-day packages for Hen and Stag parties (or any group) which will also include archery and clay pigeon shooting starting at €109 per person. 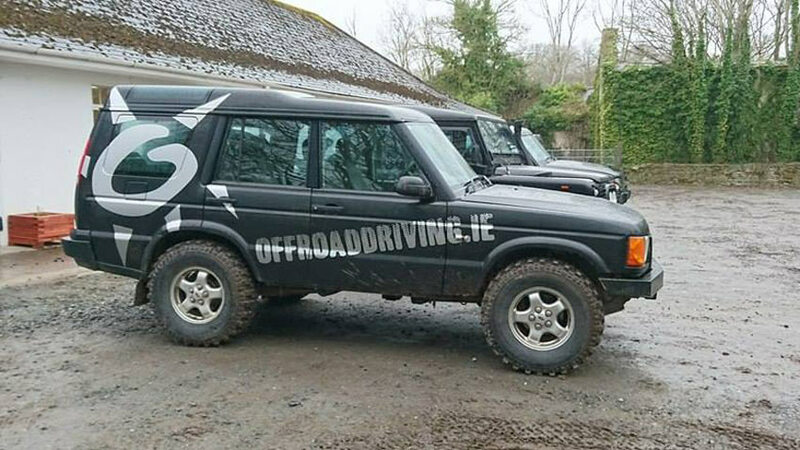 Offroaddriving.ie are currently based in the beautiful grounds of Palmerstown House, at junction 8 on the M7. 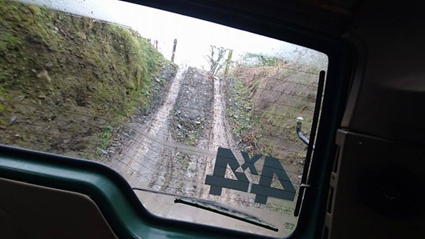 For more information visit www.offroaddriving.ie or call 045-891100.